Give your child some inspiration for pretend-play time with great action figures and play sets from Yogee Toys! Kids can make their favourite characters come to life with action figures from Toy Story, Teenage Mutant Ninja Turtles, Ben 10, Spider-Man, Batman and Star Wars! Little ones can start play pretend with dinosaurs and firefighters. Give your child the famous Mr. and Mrs. Potato Head, or a fun new twist on the old classics. 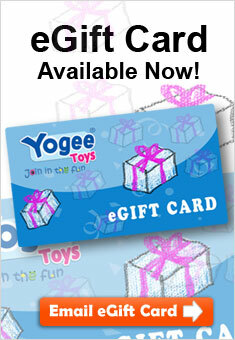 Spark your child’s imagination with Yogee Toys!